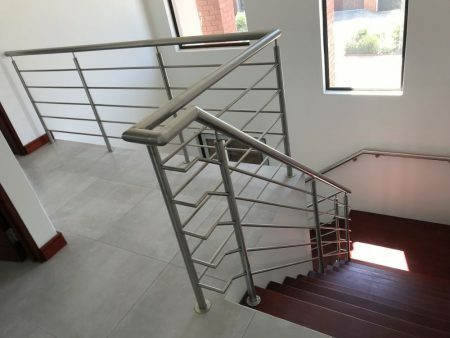 Exclusivio Wrought Iron Designs have once more conceived a tasteful combination of staircases, handrailing and balustrading for a selective and appreciative Client. 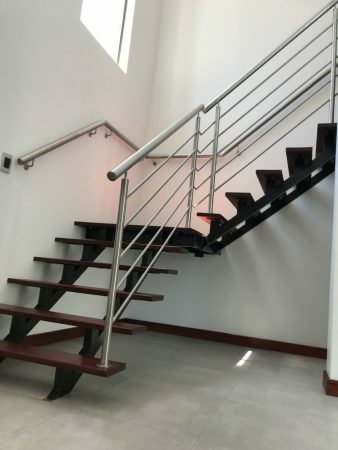 All designed to have a matching end-product similarity. 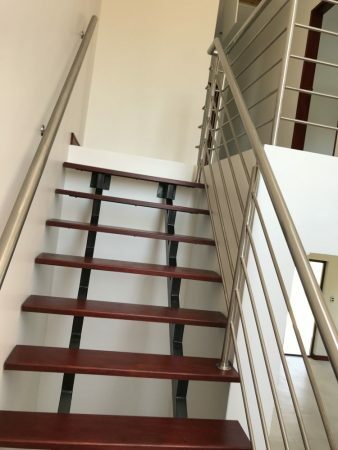 The staircase stringers and stair tread supports are made up from 100mm x 50mm x 5mm rectangular tubing primed and painted matt black and the stair treads and landings are 32mm thick treated meranti. 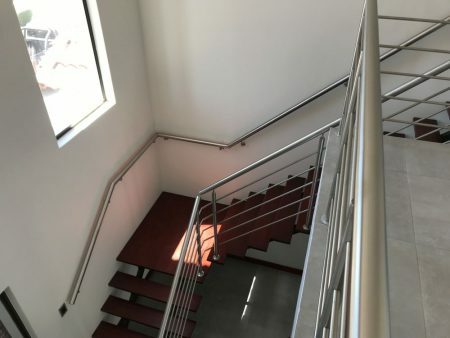 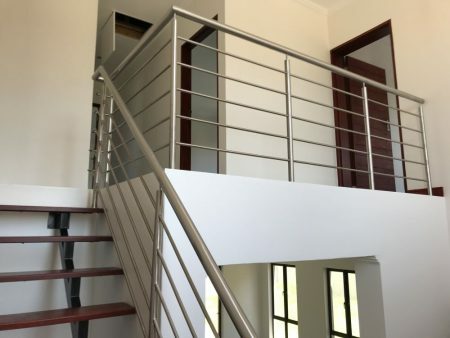 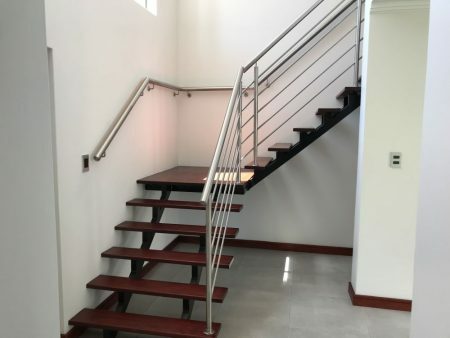 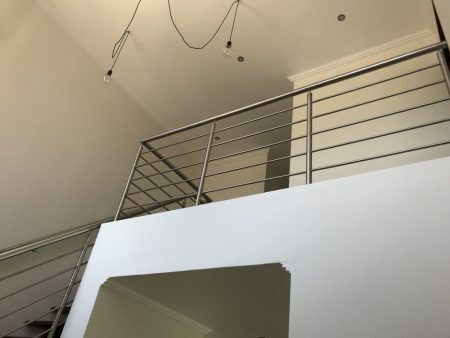 The handrail is made up of 50mm diameter stainless steel tubing and is secured to the wall by means of chemically anchored stainless-steel wall mounting pins. 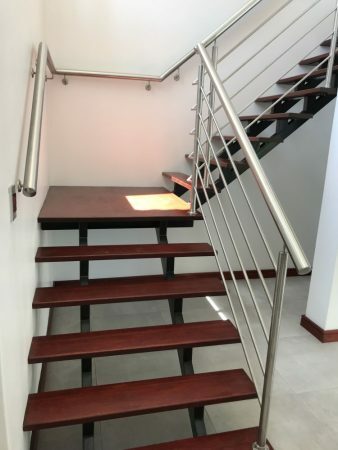 Posts are 38mm diameter stainless steel tubing complete with flanges for fixing to stair treads, landings and concrete floors wherever applicable. 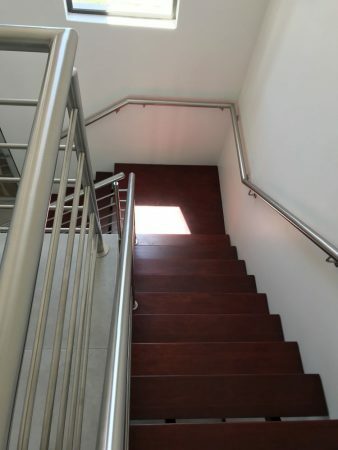 Horizontals are 16mm diameter stainless steel tubing.